Let us provide your something blue. No. 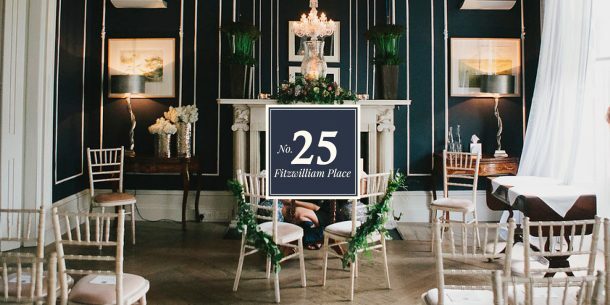 25 Fitzwilliam Place is your own house in the heart of Dublin 2. Located on a quiet corner of the Georgian mile, the property has been lovingly restored and decorated in a classic yet contemporary style highlighting its original period features. 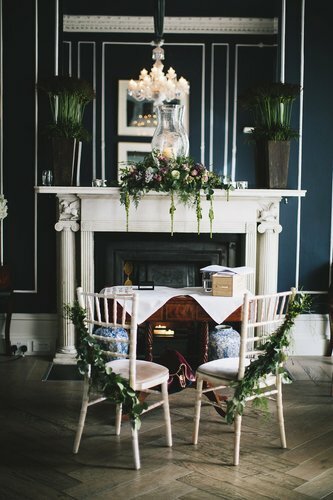 Conveniently located just a short distance from the Registry Office on Grand Canal Street, the elegant space provides the perfect backdrop for intimate gatherings, wedding receptions and civil ceremonies. 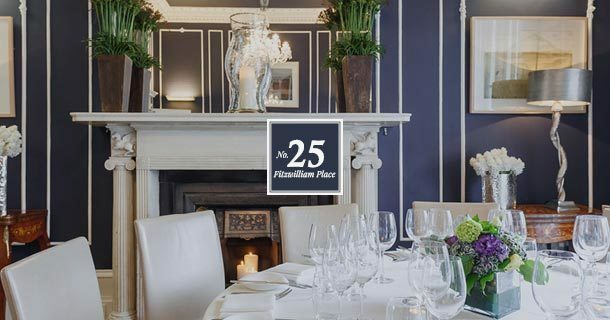 With a choice of exquisite private rooms, sumptuous fine dining menus and warm, attentive service, it is ideal for those looking for an intimate and unique city centre venue. Located on a quiet corner of the Georgian mile, the property has been lovingly restored and decorated in a classic yet contemporary style highlighting its original period features. 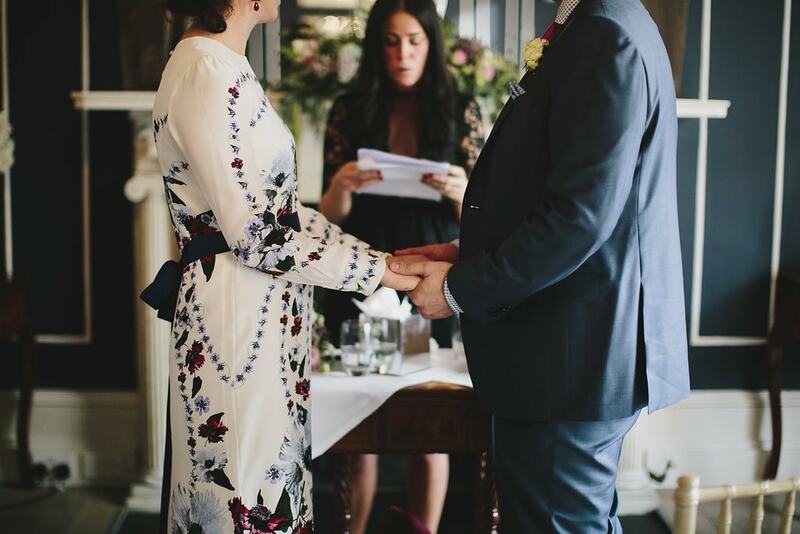 Conveniently located just a short distance from the Registry Office on Grand Canal, the elegant space provides the perfect backdrop for intimate gatherings, wedding receptions and civil ceremonies. We cannot thank you enough – Isabel, John, Karel, Stephen & his amazing team! Everything you promised us you delivered & more. This was the most magical evening of our lives ever. 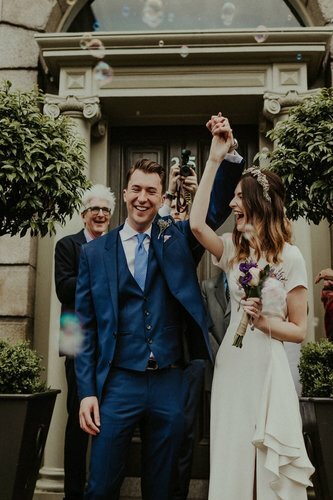 We will never forget you & No.25 – our guests are still reminding us of what a totally incredible wedding we had – thanks to you all. Thank you to you and your amazing team especially Stephen, everyone had a great day, and you guys made me and Dan feel so relaxed. Thank you for being so accommodating, especially with the menu for my nephews allergies. I can’t recommend you guys enough to everyone. Thanks again! 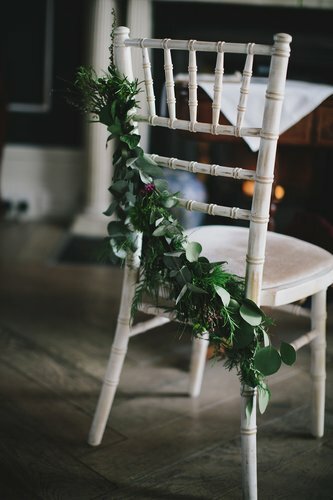 We wanted to thank the staff for providing excellent service on our wedding day. Our guests felt very comfortable and taken care of. The staff who helped with the baby during dinner went above and beyond any expectation. Everyone felt the bar service ran well and no one waited long for drinks which was important to us. Please send our thanks to all the staff. Thanks again! Many thanks to you and all your staff for making our day the perfect wedding day for us. Everyone is still talking about how beautiful the house is and how your staff looked after each of us. The food was amazing and we will be back very soon for dinner.